South Shore’s largest annual community event drew thousands of visitors this year to E.G. 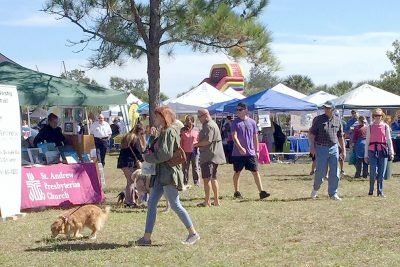 Regional Simmons Park in Ruskin. 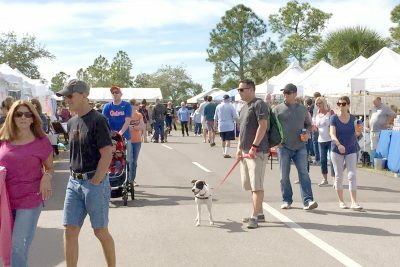 Its scenic venue, live music, fresh seafood and family-friendly atmosphere brought folks from around Tampa Bay and beyond to enjoy the 30th annual event. Sponsored by the SouthShore Chamber of Commerce, the festival included about 100 business, nonprofit and food vendors, a boat and RV display and mostly free kids’ area this year. Eileen Eletto, of Apollo Beach, said she had a great time. 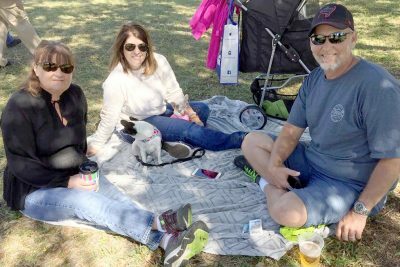 She brought along her Dachshund, Ava, her new neighbor and her neighbor’s Chihuahua, Brutus. “It was so much fun,” she said. “It was a sunny day, lovely weather. 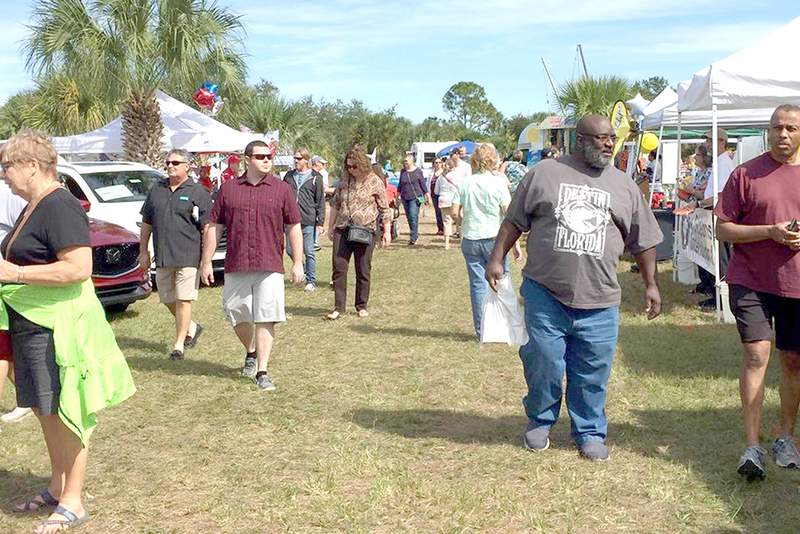 The vendors, including those in the food court, offered a nice variety of items, and the music was great. And there were so many dogs. Ava had such a good time meeting them! Festival-goers peruse assorted commercial and nonprofit vendors on the main drag of this year’s event. 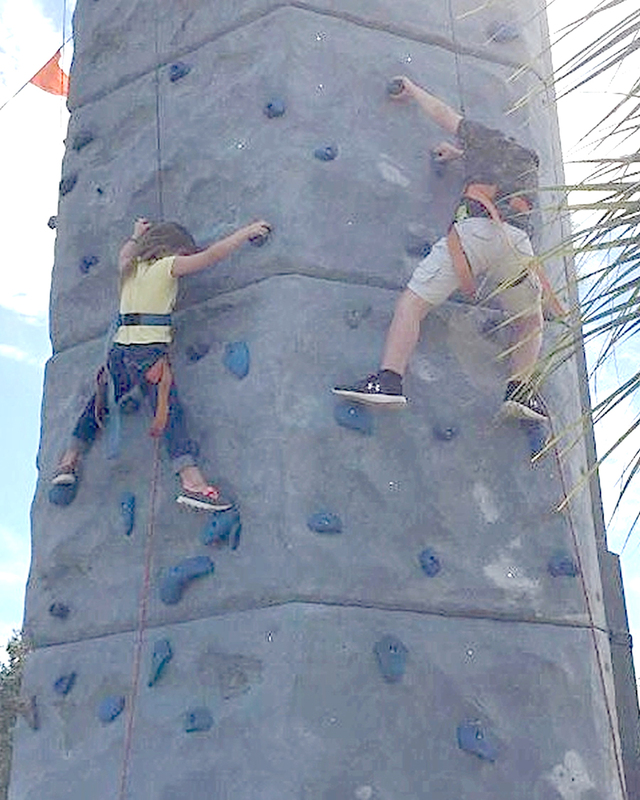 Two adventurous kids climb the ever-popular rock wall at the Ruskin Seafood Festival. It’s a perennial favorite for young visitors. Visitors, many with pets, enjoyed chamber-of-commerce weather at the Ruskin Seafood Festival Nov. 10. 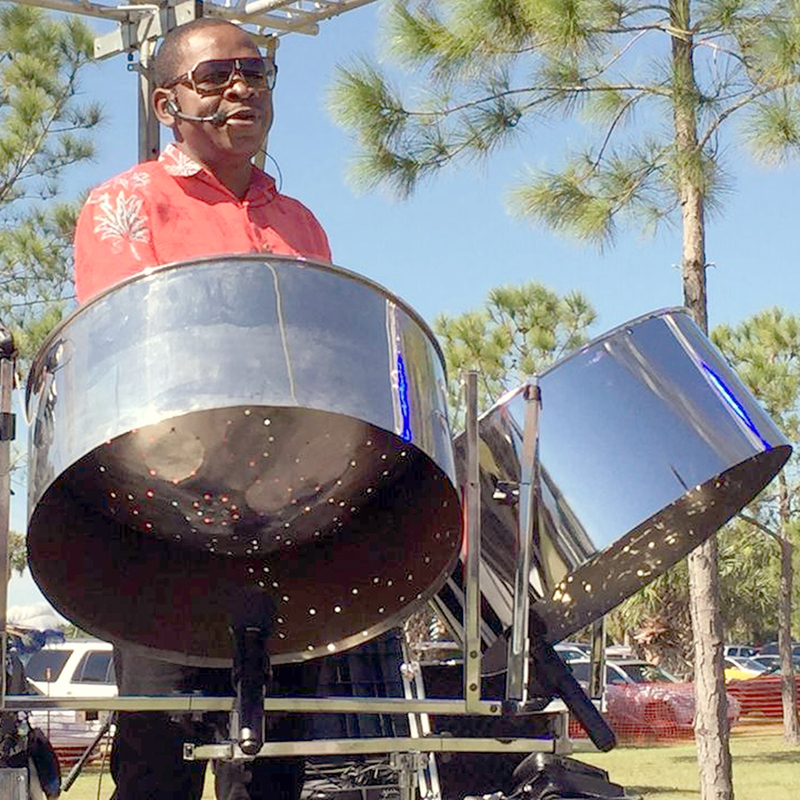 Rhythm Trail steel drums played on center stage from 10 a.m. to 1 p.m. during the seafood festival’s first day. Festival-goers checked out many of the event’s commercial and nonprofit vendors Nov. 10. 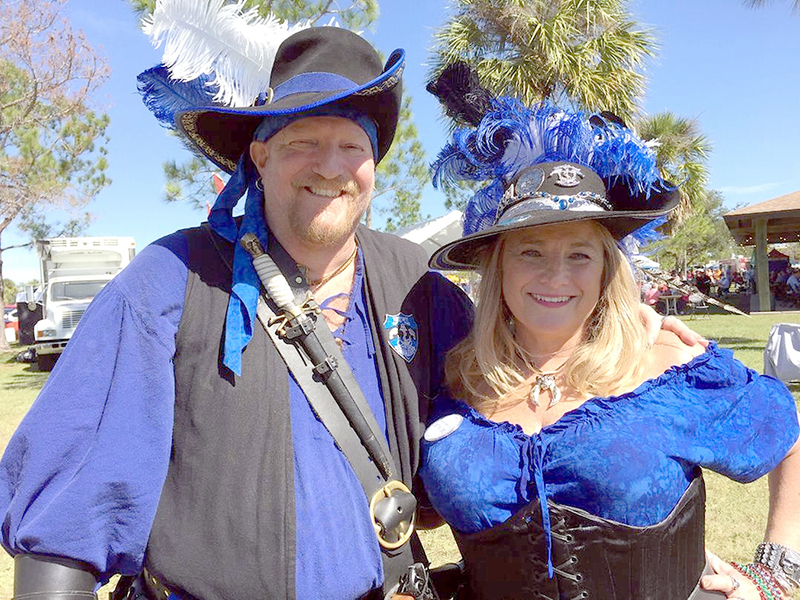 South Shore Marauders Gregg and Deborah Johnson were among many of their krewe members who came out to mingle with seafood festival visitors. 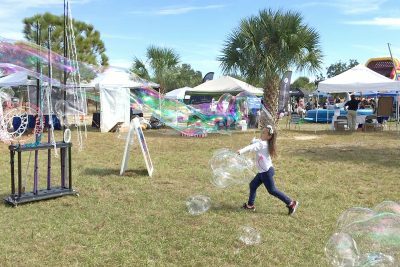 Cierra Stefan, 7, of Land O’ Lakes, chases huge bubbles produced by Blaise Ryndes in the kids’ area of the 30th annual Ruskin Seafood Festival. Seafood, seafood and more seafood stars at the annual festival at E.G. Simmons Regional Park. 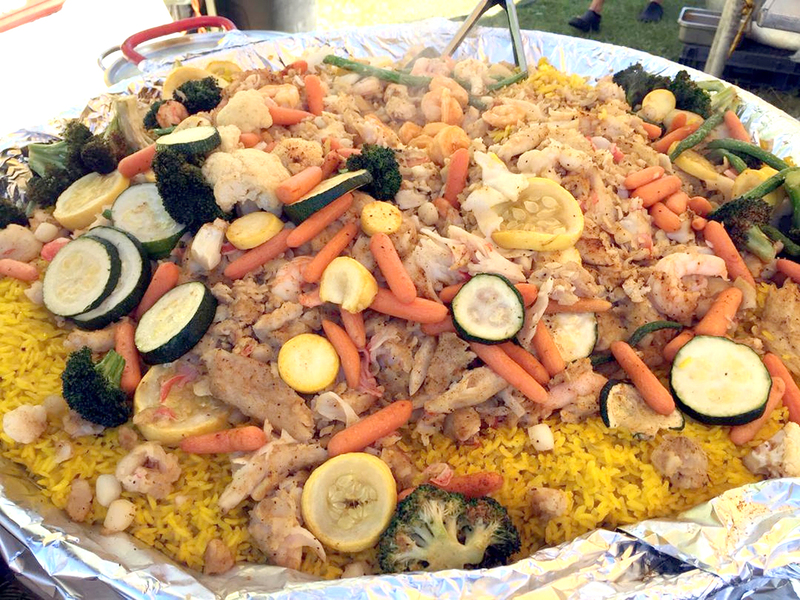 Pictured is a food court vendor’s steaming display of seafood medley. The festival’s laid-back atmosphere is a favorite for, from left, Karen Rousseau, of Riverview; Stephanie Reagan, of Plant City, and her Chihuahuas Zoey and Isabel; and Reagan’s husband Todd. 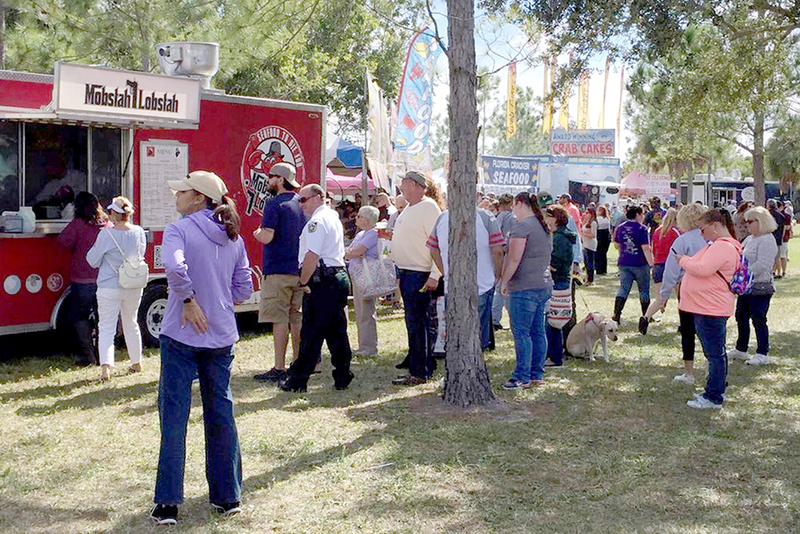 Hungry visitors crowd the food court on the first day of the 30th annual Ruskin Seafood Festival Nov. 10.